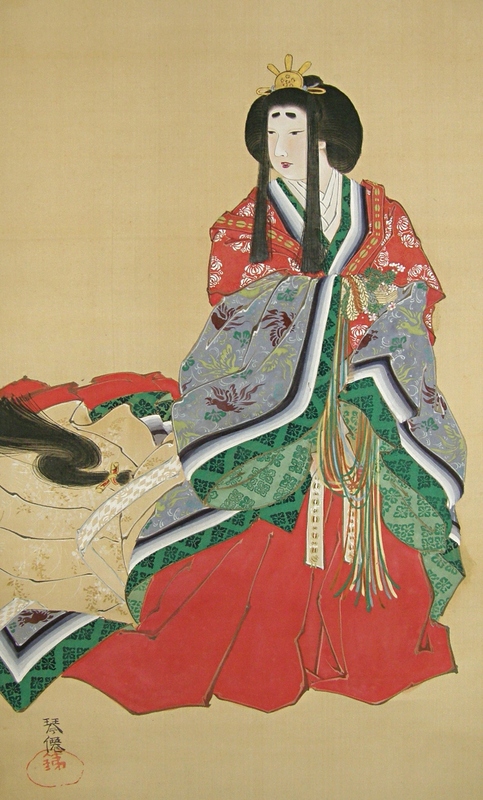 Title" Japanese Ancient Court Lady "
Description We estimate this scroll was drawn over 40 years ago. There are some faint spots and a few small folds on the painting part. 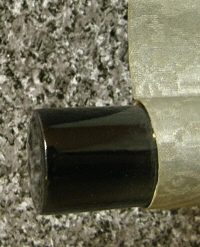 A few small holes are also recognized at the top of the mounting, however, those are not noticeable. 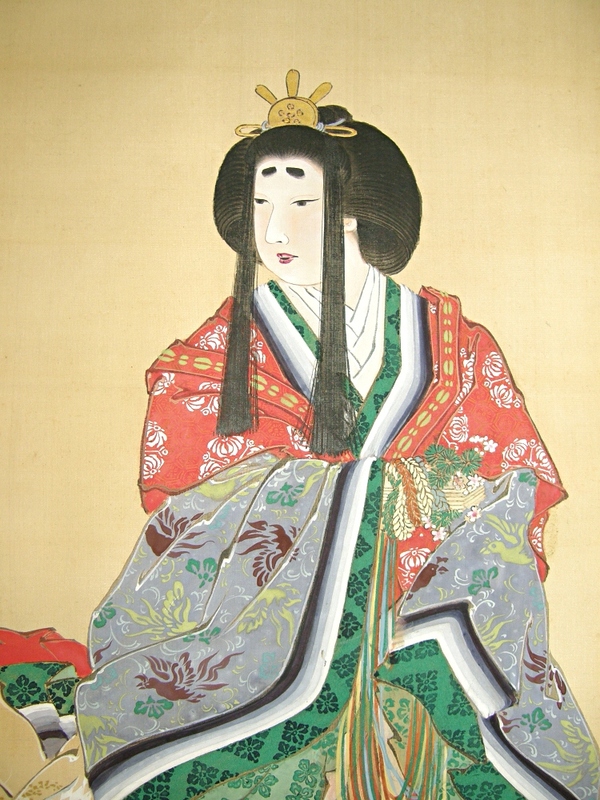 A Japanese ancient court lady in Kimono is painted very beautifully. 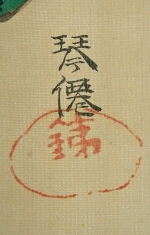 A San Kanji writing is also drawn.